Beverly sidesteps the need to interact with co-workers by working from home. When she must venture outside, she wears earphones so no one will bother her. Social niceties are designated to her best friend and flatmate, Ella. 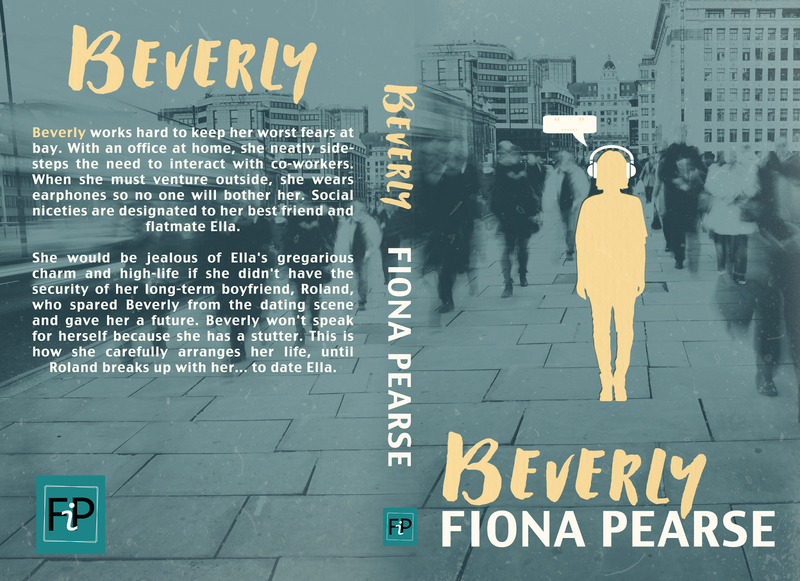 Beverly would be jealous of Ella's gregarious charm and high-life, if she didn't have the security of her long-term boyfriend, Roland, who spared Beverly from the dating scene and gave her a future. Beverly won't speak for herself because she has a stutter. This is how she carefully arranges her life, until Roland breaks up with her... to date Ella. Soon-ish. After getting a fantastic copy-edit with SilverWood Books, I finally have some time off from my busy job to work through changes (see my previous Beverly blog post). realised were there! It is as if I unconsciously brought forward these traits and needed someone else to point them out. With this fresh perspective, I can see some small changes can shape the character dynamics further. But never mind small changes. Check out the book cover! I had a great experience working with 99designs. If you're not familiar with the site, what happens is you launch a competition for your design and set your prize money. Then, designers submit their entries and you can work with them, asking for changes, until you decide on a winner. 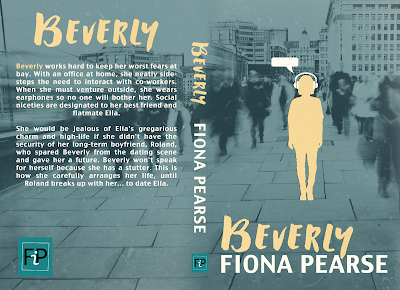 I chose four designs for my final round which were all strong covers, I thought, but this one by Wild Women Designs has captured Beverly and how she interacts with the world. It also ticks all the boxes I'm learning are necessary for a good book cover: the title and author name are clear, the image will stand out in an Amazon line-up, the idea is communicated simply, and there is space for a quote. 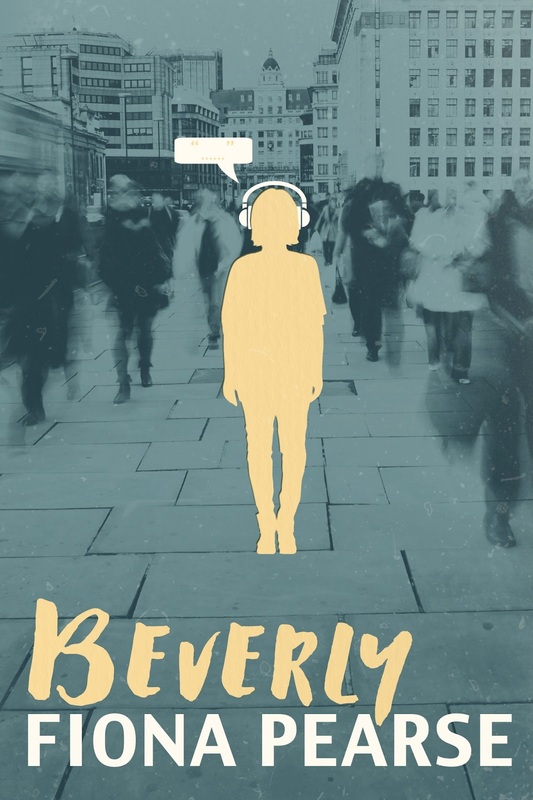 So I'm looking forward to the final shaping of Beverly and sharing it with you! 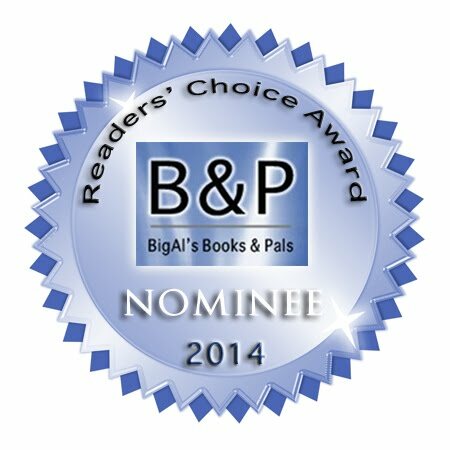 In the meantime, check out Beverly's page and stay tuned.